In our journey through the chakras, we come to Vishuddha Chakra, or the Throat Chakra. Vishuddha means “to purify” and is the bridge between our lower chakras, and the three upper chakras, that relate to spirituality. As we cross this bridge we come into contact with our voice. This is the most powerful thing that we have as humans. It can be used to praise the world, pray, and speak kind words of compassion and empathy, or used to lie, deceive, and destroy the world. We can do either, not only in the words that we speak, but also in the tone in which we speak. One of the hardest lessons I have had to learn is how to “speak my truth”, in a loving way and to heal. Through the healing power of words, I have learned how to use them to my benefit, and to speak and communicate in a way that creates peace in the world, and relationships that I want in my life. It all starts with “Speaking ones Truth”. Speaking your truth is something that requires a lot of confidence, patients, love, compassion, and sometimes silence. There is a balance between listening, and not reacting that is required in order to have healthy, loving voice. The color that is related to this chakra is blue-gray, or turquoise. The blue color has a balancing effect to this chakra, aligning it to our higher purpose. The animal associated with this chakra is an elephant. This elephant has seven trunks, that represent the seven levels of consciousness, that we have discussed in previous articles. To speak or sing the universal call of AUM is very powerful for this chakra. In English this should be pronounced as UH-OO-MMM. Any kind of singing, or dancing will also help bring balance. This chakra is connected to our will, so lying will only bring imbalance to this chakra, body and spirit. In situations where you need to speak your truth in a loving way, or give a speech, tapping the throat three times clears this chakra. Remembering the connection between the heart and the throat chakra, will also help guide you in speaking with love and compassion. When the throat chakra is out of balance, the body will manifest problems such as, Hypothyroidism, Respiratory diseases, digestive and weight problems, sore throats, neck pain, or pain in the back base of the head, and headaches. It’s important to remember that the thyroid is located directly in alignment with this chakra, so if it becomes out of balance, it affects all endocrine glands and thus our hormonal responses. On an emotional level you may feel afraid to be close to people, intimacy, sexual relationships, or feel shy. If overactive, you may talk too much, coming off as arrogant. You may also lie easily, or become very manipulative. Yoga postures that benefit the throat chakra are Sitting Forward Bend, Bow, Camel, Bridge, Plow, Fish, and Shoulder stands. Some of these postures are very advanced, so if you’re a beginner, take caution when attempting them on your own. Also make sure that you do a good warm up before attempting poses such as Camel, Bow, even Sitting Forward Bend. Doing them in a class, or a private session would be the best for beginners. Having a teacher there to watch you is very important to prevent injuries. 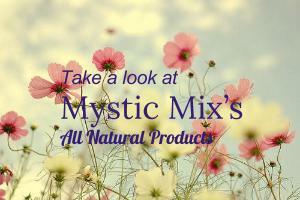 If you would like to schedule your own private consultation, you can contact me at Jocelyn@mysticmix.com.